The ideas of today’s writers become the groundbreaking shows of the future. DGF’s Fellows program helps create that future by propelling the most promising creative talents to their full potential. The Fellows program is a selective, year-long intensive for playwrights, composers, lyricists, and bookwriters. The program pairs talented writers with accomplished professional mentors, who help them hone their process, and find their unique voice. This program increases the likelihood that Fellows will be able to turn their passion and talent into a successful career, impacting audiences around the globe. 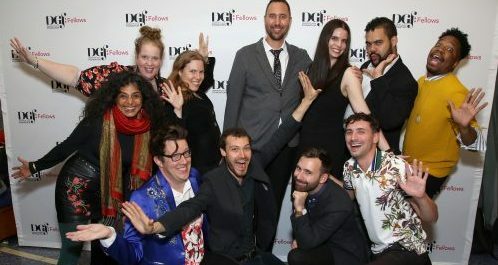 The Fellows program, currently headed by Michael Korie (Grey Gardens), Laurence O’Keefe (Legally Blonde), and Diana Son (Stop Kiss), is highly sought after for its uniquely successful format of partnering playwrights and musical theater writers together in the learning process. In addition, Fellows receive a stipend and the opportunity to partner with several arts organizations for Fellows-specific development opportunities. Since its inception in 2000, the Fellows program has given over 160 writers a path forward in the industry, with several going on to achieve the highest levels of recognition in both theater and film. 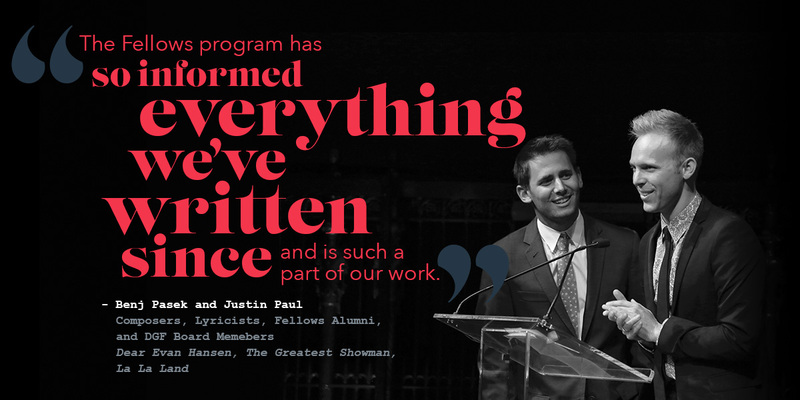 Fellows alumni include Benj Pasek and Justin Paul (Dear Evan Hansen, The Greatest Showman, La La Land), Rajiv Joseph (Bengal Tiger at the Baghdad Zoo), Kristen Anderson-Lopez (Frozen, In Transit, Coco), Lauren Yee (The Great Leap, King of the Yees), Chisa Hutchinson (She Like Girls, The Wedding Gift), and many more.